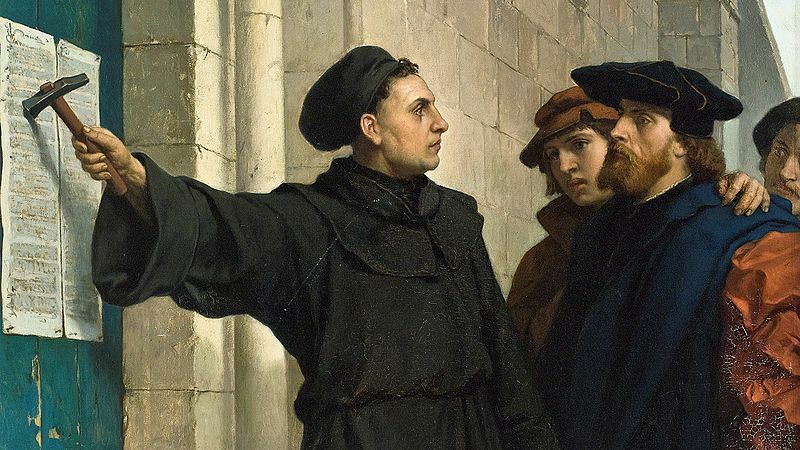 Description: On October 31, 1517, Martin Luther took out a hammer and nailed 95 theses to the castle church door in Wittenberg – an act that would catalyze debate and usher in radical change in the church. Today on Scandia Bible Church Podcast, Pastor Monty Simao takes a moment to recognize this significant milestone in church history: the 500th anniversary of the Protestant Reformation. Indeed, the reformers of yesteryear have left us with a great body of knowledge about God and the church and the state of man; but it leaves us wondering if any tasks remain. Is there anything left for us to do? This entry was posted on Sunday, October 29th, 2017 at 2:34 pm and is filed under Monty Simao, Reformation Sunday. You can follow any responses to this entry through the RSS 2.0 feed. Both comments and pings are currently closed.